Some people think having a baby is all about smelly diapers, snotty faces, dirty clothes and a whole range of uncool that shouldn’t leave the house, but in my view isn’t doesn’t have to be! By simply adding a few pleasantries you can’t look great and ultimately feel amazing too. So, how do you do this you might be asking? Well, some moms get pampering days out, others have a day-spa treatments and treat themselves in the way they like, and so they should, parenting is hard work! My reasons for putting together some of the best luxury diaper bag’s is to encourage moms all over to do what makes you happy and get back to feeling awesome out and about. Some will like pink and gold bags and others made by Gucci, but whatever your choices just make sure you love what do. Low-End – Bags in this end of the range are usually between $15 to $30 and come with less durability and overall quality, it’ll be much more likely to break at the zip or tare and need to be replaced. Mid-Range – These are a little more sturdy and well made, but sometimes the overlap can be grayish and not so easily identifiable. The price is usually from around $30 to $120 and usually made to last longer with a better layout and size for storage, ideally made with the mother in mind, rather than just an easy sell. High-End – The top fashion gurus are getting into baby wear, mother wear and anything baby related, it’s now on the agenda, so fashionable mothers are popping up everywhere and looking fantastically gorgeous. This kinda of gear is fashion stating and with one aim in mind “making you look and feel great”. The price starts from around $300 to well $10,000+, but most of the luxury tailor-made bags $10,000+ are for individual items. For the most part, the amazing designer bags come at prices that many can afford and enjoy. Changing Those pads – Most bags come with cleaning pads for your baby and can easily be disassembled and reassembled. This is really handy and shouldn’t be overlooked, especially for the fashionable lady on the move. Best Construction – Some low-quality bags will have poor stitching and I recommend buying bags with reinforced seams, which can hold up to thorough washing. Some durable materials are usually heavy-duty with sturdy plastic/metals. Bags with loads of weight need to have this as standard and quality hardware lasts the test of time. Fabric Choices – There is a never-ending the choice of fabric and finding one that you like will keep you loving it for longer, so take a little time to find the one that suits your needs. Some materials are waterproof and can be easily wiped in a time of need, however certain climates offer different ware on the materials so be sensible and not get ones that’ll crack in the cold and sweat in the heat. Awesome Features – Making sure you know what it is you want is important, especially if you are paying the top end price for your product. Do you want to have 14 diaper space availability or room for your laptop? Knowing this before purchasing will ensure you have no regrets and happy all the way through parenthood. Weight – I am capable of carrying loads and can proudly boast about it, but in reality some ladies out there aren’t built with such sturdiness, so make sure if you’re carrying loads (maybe you have twins, in which case you’d need a diaper bag for twins) then get a bag that is lightweight and easy to hold for hours at a time. Handles – a number of horror stories with cheaply made bags breaking at the handle is beyond a joke, so making sure the quality stitching is intact before purchasing is ideal. Another point to note is that the tote-style bag should be short and easy to handle for carrying around, too long can be a hassle and maybe even drags at points. The shoulder straps should be adjustable and easy to fit, so to ensure your weight is evenly distributed. Color – This is a tricky decision to some and easy to others, but go with your gut and get what you like. 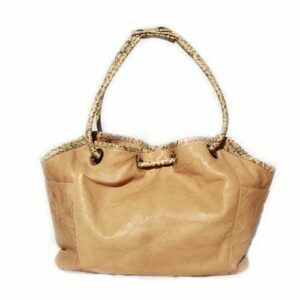 Some colors, however, do highlight stains, blemishes, dirt etc…so be careful and think about when you will use this beautiful bag. Storage – I love hidden compartments, but most people do so nothing new here, but make sure you get enough for you needs, because wipes, diapers, phone, purse and a whole load more will be in action. I normally use the hidden secret compartments for my valuables, just a sensible idea. Some moms need a bag for quick out to the local shops and others for days trips over to friends and family, especially if they come with an early warning sign saying “anything is possible”, which I’m guessing we all have friends like. What way will you use yours? Some will be saying I drive almost everywhere and don’t need anything big, while some city slickers will be saying I am mobile and on foot so give me diaper bag space, so whatever you decide just make sure it suits your needs and isn’t an impulsive buy. Try before you buy. Some people are new to shopping in general or it wouldn’t surprise me if you are the mom that used to go out to the mall to shop but have decided to move to the online world of purchasing for convenience sake. There are loads of ways to tell what size will suit your needs, but by simply getting all your essentials in front of you and saying will this all fit in that? This simple process has always helped me because it gives a visual perspective and helps identify bag size required. Large vs Small. The answer here is – what are you going to use the bag for? And this is your answer, rather than a generic all for one and one for all, it’s a bag that is bought to assist the mother in question. Simply but go with what feels right, whether cheap or luxurious, white or black, it’s all about choice and preference. Each and every trip is gonna be different, but where some of the similarities might overlap is the need for certain items like diapers, wipes, and purse. However knowing your items that might be needed is important, because I have seen me countless times forgetting something and being frustrated the rest of the day, so always have a check-list and it’ll save you unnecessary grief. • A book or toy for your baby to hold. This is a diaper bag in disguise, it is stunningly elegant and attractive to all who lay eyes on it, no one would ever expect it to be a bag with child’s diapers in it. The hand-made Mia Bossi’s are constructed in their Chicago-based factories with technicians that stand above and low-level china made product. This has been tested vigorously, been through both travel use and every day. Mia Bossi offers tailor made bags for those wishing to have their own unique bag, but if this is out the reach then fret not because this bag is stunning and you will be the only one using it for miles around, it’s stunningly unique and beautiful. This one is water proof and can be easily cleaned both inside and out, without having to worry about blemishes or marks occurring. There a number of compartments all offering large amounts of space for the baby’s accessories, your purse and anything a lady needs for being out and about. 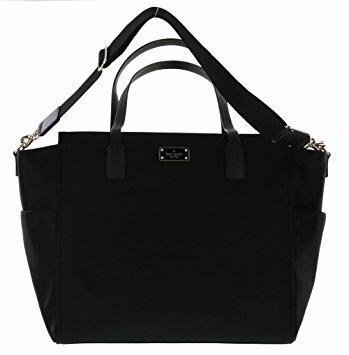 Kate Valentine (previously known as Kate Spade) is an American fashion designer with previous business experience and has designed countless bags including luxury ones for babies, which has become increasingly popular with mothers wanting to look their best. 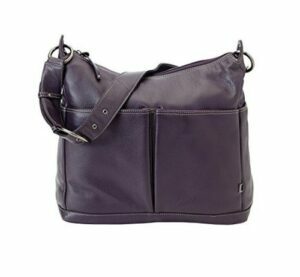 This bag offers a crisp color and oozes sophistication for the mother wanting to impress where ever she goes, it’s even more affordable than the previous and will say “New York here I am”. The imported Nylon material is water resistant and has a sheen gold-tone overall, it’s made to impress and can hold it’s own in any company you might find yourself in. The adjustable straps and handles offer an easy to use experience, especially with all it’s lined pockets and pouches. The measurements and finer details for those wanting to know more should click on the link below to find out more about this, but this is a cheaper option, but yet still high-end fashion. The OiOi is a well-known designer baby diaper brand and offers a supreme quality high-end product at a reasonable price, it’s both functional and reliable without needing to worry about the quality lessening even though the price is on the high-end. There are loads of pockets and hidden compartments to ensure all your babies needs are met, holds bottles, wipes, formula and anything that a mother would be expected to have. The luxurious materials are leather to the skin and will stand out as a must have to those who come across it, it is fantastic. The zips are easy to use and come with a top-zip to ensure your valuables are not on display, which can be a problem for those on the subway. The awesome bag comes with a diaper change mat and pad, as well as a bottle feeder cooler and makes things safer with the seal-able purse container. This answer comes down to personal choice and style, some may differ and say there is a clear winner, but I say whatever ones stand out for you is the one to go for. The one that stands out for me is the “Mia Bossi Audrey Baby Diaper Bag”, which is stunningly beautiful, exceptionally functional and makes me feel like a star both inward and out. This comes with a lifetime guarantee of coolness and will never be out of place, even when your no longer a new, it can be the bag at the mall, evenings out or at dinner parties, it’s very adaptable and stealth-like in appearance, because no-one is gonna guess it’s a diaper bag!